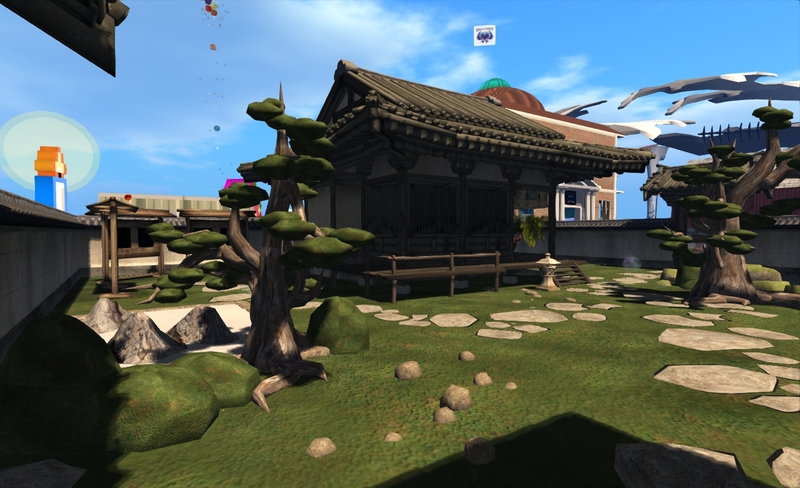 Saffia Widdershins informs us that Linden Lab has posted a survey related to this years’ Second Life birthday celebrations. On the one hand, this might seem rather odd given the way that LL largely abdicated responsibility for organising any form of celebration at what amounted to the 11th hour. 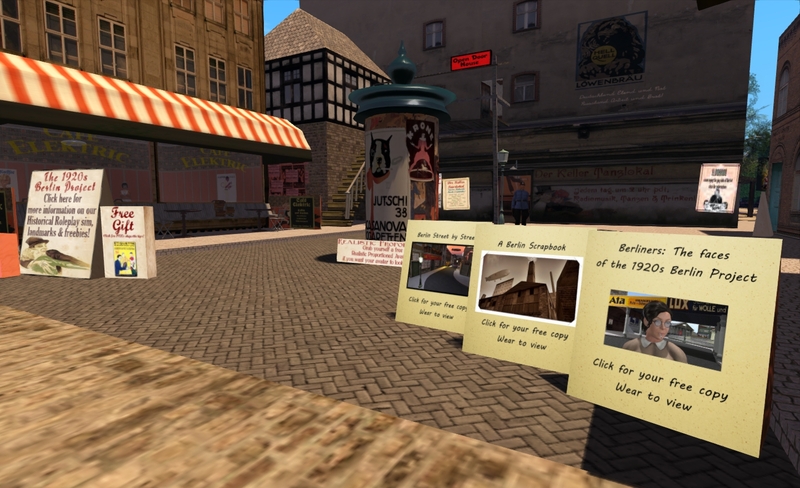 However, Linden Lab did provide a means by which events across the grid could be promoted through the Destination Guide, and the hand-off approach was something entirely new. As such, setting-up a survey that encourages people to provide feedback on the overall approach to this year’s celebrations and on things like the effectiveness of the Destination Guide channel might seem perfectly reasonable. The problem is, however, that the survey actually fails to do any such thing. Rather than asking focused questions on the manner in which SL9B events were passed back to the community or on the effectiveness of LL’s promotional support, we get a rather odd 5-part survey which leaves one wondering just what on earth it is all about – and what LL are playing at. 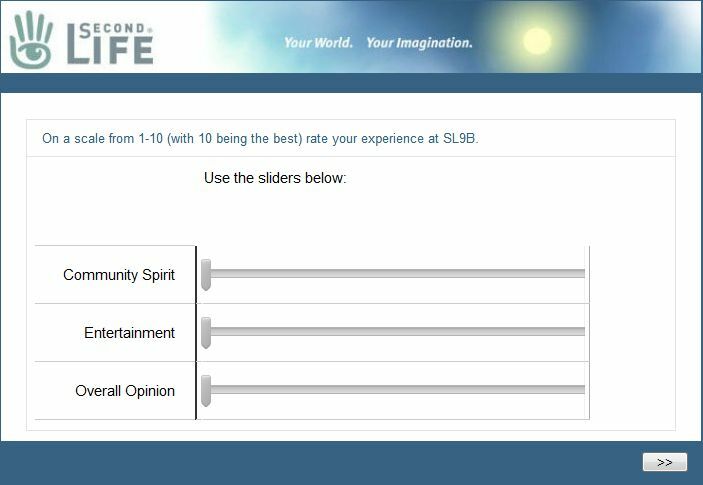 The survey commences with a request to indicate one’s opinion about SL9B through the use of three sliders. Finally, there is the feedback section, which includes the question, “Do you have any suggestions related to the community birthday celebrations? If so, please add them here”, and provides a text box in which feedback can be typed. In her post, Saffia suggests that the survey is aimed directly at gaining feedback about the central SL9B event held across 20 donated regions this year. I think she has a point. 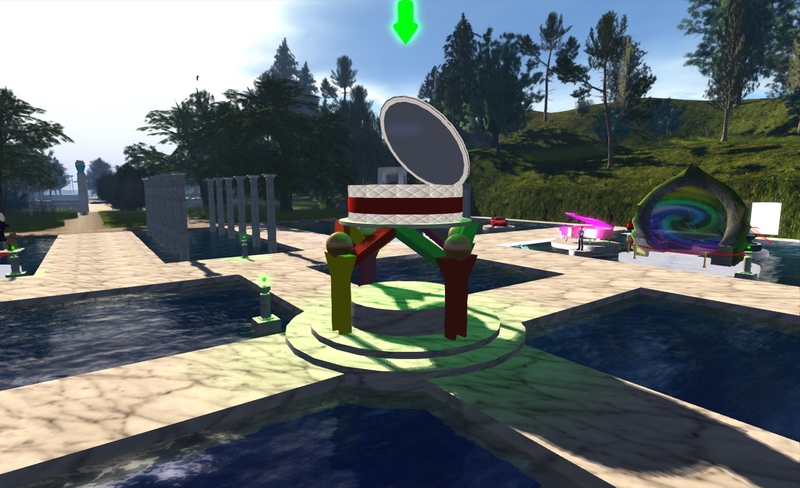 While on the one hand “SL9B” can be used in reference to any and all Second Life birthday celebrations that took place this year, there can be no denying that the term became synonymous with the central event itself. Furthermore, the questions seem singularly aimed at this event: “Was SL9B a better event overall than last year’s SL8B?” Why not, “WERE this year’s SL9B EVENTS better overall than last year’s SL8B”? . So if the Lab is poking into the organisation and success of this year’s central SL9B celebrations, then one has to ask why? Are they assessing things with a view towards once again taking over the driving seat for future SLB events? I doubt it; the Lab doesn’t really have a track record of reversing major decisions once made – and withdrawing from full participation in SLB celebrations was a major decision. Given that the organisation of a week-long, multi-region event requires a considerable investment in terms of time and manpower – an investment LL were unwilling to make this year – it seems unlikely that they are looking to reverse their position outright on the basis of one resident-lead series of celebrations. This leaves us with two possible points to the survey based on the way the questions are worded: either LL are simply curious as to how things turned out overall; or they are looking to perhaps re-engage in SLB activities in a limited capacity. Neither option can easily be dismissed for somewhat similar reasons. In terms of simple curiosity, let’s put a little context on things. Over the last few years, SLB events have witnessed declining numbers and have frequently be subject to negative feedback from users. Ergo, it is in some way hardly surprising that LL didn’t think it worth the effort to host a major event this year – and it is probably fair to say the overwhelming demand for there to be centralised celebrations caught them by surprise (hence the hasty, if misguided, negotiations with the LEA over hosting a central event). Not only that, but such was the support for the event that it easily matched LL-organised events of recent years in terms of size, number of exhibitors and scope of entertainment. As such, the survey could simply be an attempt by LL to try to understand why this is so, without any additional ulterior motives being attached. Pretty much the same observations can be made in relation to LL wanting to re-engage in things to a limited degree. The very fact that the central event was such a success has caused them to reconsider their involvement, and so they are trying to find how they might be able to have limited involvement without being perceived as trying to make a grab for the reins and take over completely. As such, the survey might both be a low-key means by which they can better determine where and how they might seek to engage in future events and a means by which they can get a better feel for the organisation behind this year’s event without having to go the route of direct dialogue (which might be so easily misinterpreted by others). Of course, it might just be that the survey really is about trying to gain feedback on the Lab’s own strategy and approach to handling SLB celebrations this year. If so, it is hard to see the how the questions, as phrased, will yield anything that is actually meaningful. Whatever the underpinning reasons for the survey, if you’ve not already completed it, I encourage you to do so – and also to take a few minutes to complete the SL9B feedback form if you attended activities there or give feedback to any SL9B event you did attend across the grid. When one attends an event as big as SL9B, it is easy to get carried away with all the excitement and hype. This tends to overshadow thinking when looking back on the event and looking at it perhaps a little more objectively, as one’s perspective can be swayed by the residual excitement and fun. So I decided to leave it a week and let matters percolate quietly before providing a personal round-up on the event. The back story, as I’ve mentioned before, is well-known: Linden Lab’s decision to withdraw from active involvement, the scramble (and drama) to try to make a centralised event happen:, the generous donation of 10 regions be Dream Seeker Estates, followed by six more from an anonymous donor; the further donation of two regions apiece by Kitty CatS and Fruit Islands and nEoStreams stepping forward to supply all the required media streams. And, of course, then the mad dash to pull everything together in just five weeks! And, frankly, the results were fabulous. That’s not the hype speaking: it’s a simple fact. Over 450 applications received from people and groups wishing to participate in the celebrations; 397 separate exhibits; the entertainment calendar so over-subscribed a fifth stage had to be hastily commissioned and fitted into the established layout. From the start, it was clear that “the community” – residents across SL and around the world – wanted this to happen; they wanted a focal-point for celebrations, and many of them wanted to be an active part of it. The theme of “community” – which I felt at the time it was announced by LL was of a hand-washing affair than an actual attempt to define a “real” theme – actually worked very well. 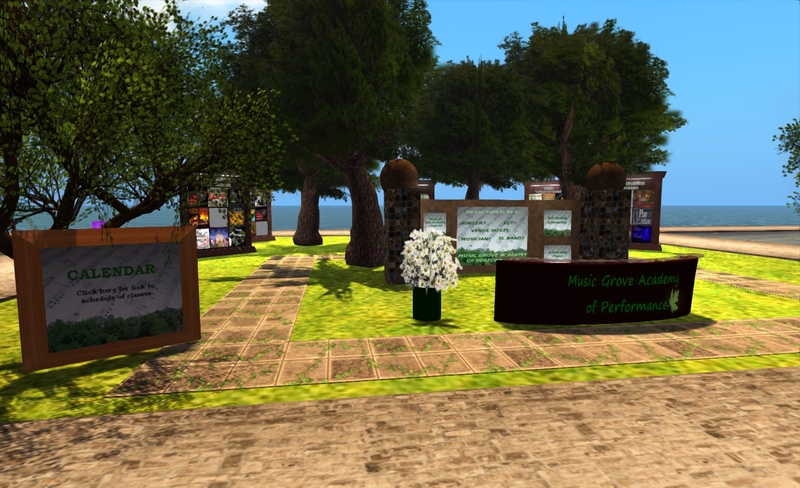 The exhibits showcased the rich diversity of communities and groups within SL, most of them in every imaginative ways. The theme also served to highlight the many ways in which SL serves as a platform to bring people together to in mutual support and understanding, and can unify people in the fight against illnesses. 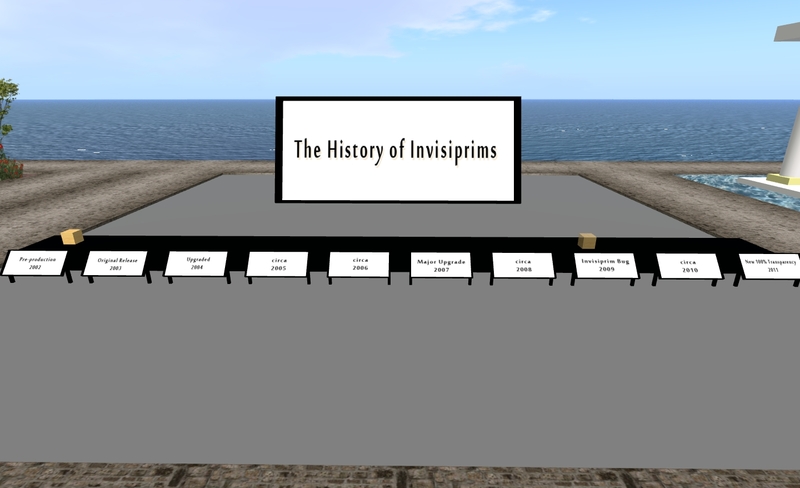 For me, one of the highlights of the week was being able to visit pavilions raising awareness of AIDS, Parkinson’s Disease, ALS, autism, cancer and cystic fibrosis, together with those hosted by a number of support groups and help networks, and being able to learn more about their work in SL. Of course, there were a few hiccups: one display was replaced as it caused some upset among other exhibitors and volunteers prior to the event opening, while another artist opted to withdraw while some exhibitors failed to subsequently develop the parcels they had been allotted. But taken as a whole, the event seemed to bring out the very best in people, with everyone involved determined to ensure things would succeed. Even when things went wrong on the technical side, the majority of people reacted with grace a humour. When opening the regions for the press preview proved to be a little problematic, people appreciated being kept informed and were content to wait while we resolved matters. 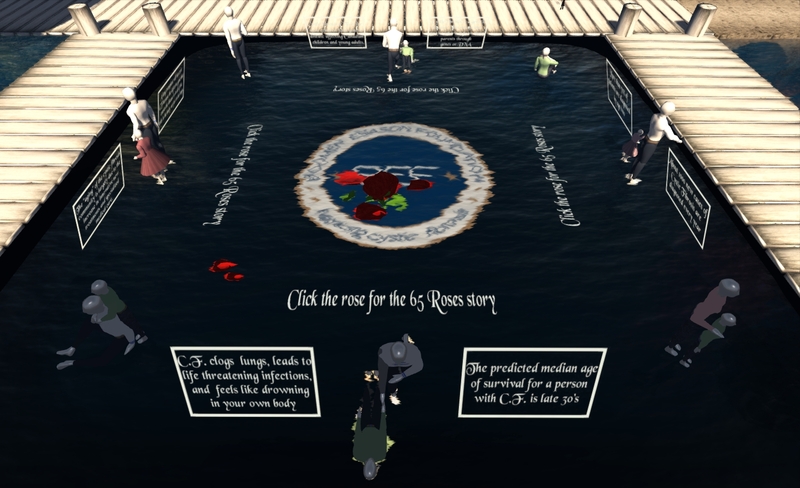 Similarly, when teleports to and within the event regions went awry just after opening (requiring LL’s intervention over several hours to fix), most people refused to have their spirits dampened – as evidence by the fact that over 300 people arrived in the regions as things got underway – and numbers remained high across the regions despite the teleport issues. The organisation of the event was marked by a lot of hard work from the core team – KT, Doc, Saffia, Honour, Diane and Budster (which is not to diminish the efforts of all the volunteers who stepped forward) – together with sparks of genius, such as the aforementioned roll-out of an additional stage for festivities at the 11th hour. Another spark of brilliance was Crap Mariner’s video promotions for the entire event, featuring the Angel of Death. Some commentators, standing well off to one side of things failed to grasp the rich inventiveness in using the character, which perhaps speaks more of their own perceptions and bias than anything else. There can certainly be no denying the impact of the character in communicating important information about the event, or in its overall popularity throughout the thirty-one videos Crap produced – as evidenced by the fact that the videos even appeared in blogs not directly reporting on or promoting SL9B. I’m personally hoping we’ll be seeing him back once more as the doors open on preparations for SL10B. That LL were no longer calling the shots meant that the event had some greater freedom than previous years. Time could be side aside for raising money for a charitable cause; greater control could be exercised in preventing exhibits becoming little more than gaudy advertising, and so on – all of which further added to the attractiveness of the event. When the event was announced, there were inevitable concerns (and grumbles) that it would overshadow other SL9B celebrations taking part across the grid. Rather than become embroiled in any controversy on this front, the organisers simply responded in the most positive way they could: by inviting other organisers to pass along details of their own events, which were then advertised at the Celebration Hub at the welcome area, allowing people arriving to learn about and visit other celebrations occurring across SL. Could things have been handled better / differently? No doubt – and this is why the team behind SL9B want to hear back from everyone who attended. Feedback is important if mistakes are to be corrected next year and problems avoided. I’ve already dropped a couple of ideas via the feedback form, such as considering straddling the auditorium area across two sims in future (particularly if planned events are likely to pull-in a large audience). Aside from very crowded party venues, the auditorium area was the only place I experienced severe viewer issues and crashes. While there is an inevitable desire not to disappoint those applying for exhibitor space, I’d also suggest considering the inclusion of a designated teleport point in each region (or perhaps “shared” between pairs of regions), perhaps with a directory listing of the exhibits to be found there. This would possibly allow easier movement around the regions and help people more easily find the exhibits they might be particularly interested in. Obviously, putting a complete directory of exhibits together is no easy task (and I’ve already volunteered to help with it next year, if one is done), but similar approaches have been used elsewhere (albeit on a smaller scale) to great effect, while still leaving people free to wander on foot. That the event was a success there can be little doubt. 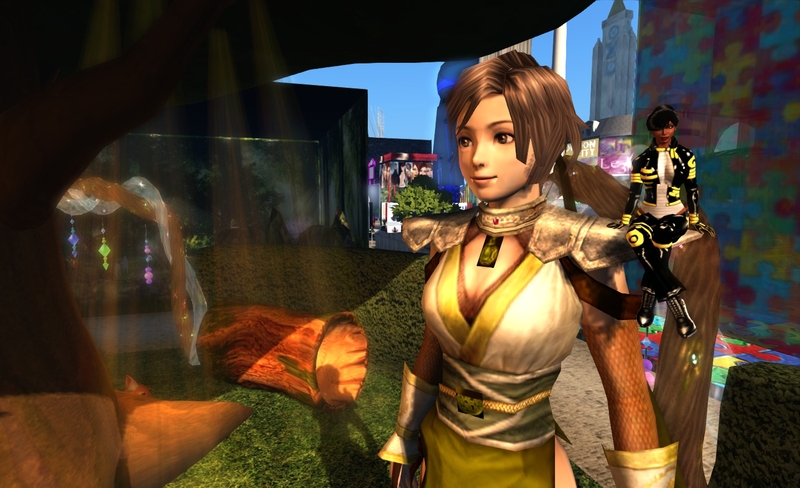 Even before the gates had finally closed on SL9B, many of those directly involved were already talking in terms of SL10B – and of the possibility of organising other events between now and then, and anyone travelling the Lotus Express on the last day can attest. Perhaps that was the greatest magic that came out of this year’s anniversary celebrations: the feeling that something new and special had been created by residents, for residents, together with a very strong desire and commitment to see it continue into the future. That is something which is pretty special at a time when it is so easy to repeatedly turn a cynical eye on SL and / or hark back to the “good old days”. It shows that people do very much still love and care for all that SL represents and can stand for. I know I’m now looking forward to 2013 – and that I’m not alone in doing so. 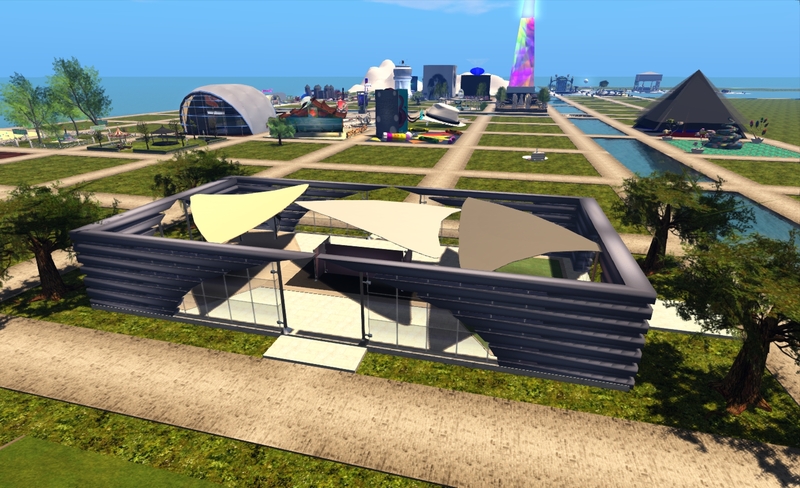 Today is the last day for people to see what has been the most amazing gathering of talent coming together in one place to celebrate what makes Second Life so diverse, exciting, thought-provoking, fun, relevant, vibrant and – despite all comments to the contrary alive. If you have not done so already (or even if you have! ), please visit the sims before they close: there are some marvels to see, some of which I’ve tried to cover here, and others have as well. Go see the amazing stages; all of them have been marvellous, and I wish the Main (Lotus) Stage and the Lake Stage could be preserved. I’ll likely have a couple of follow-up posts on SL9B in the near future. Now’s not the time to be analytical though. Just go and enjoy the last few hours! Thanks once again to everyone who made this all happen. Here’s to SL10B! SL9B: There’s still time to visit – and don’t forget your feedback! 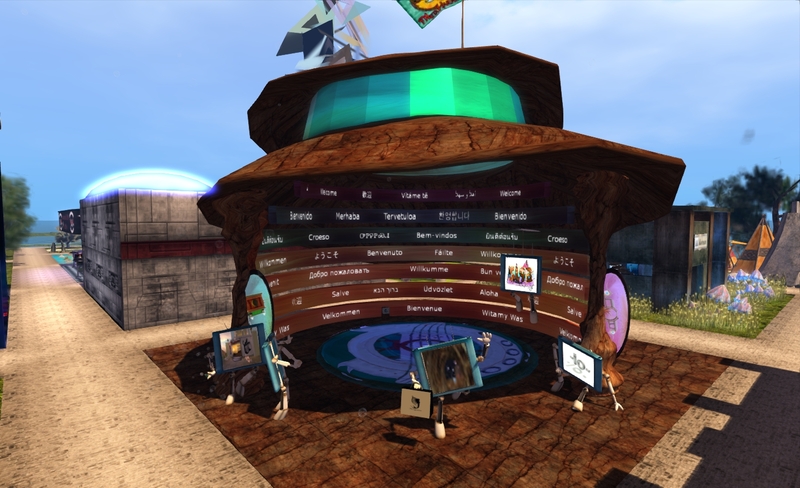 The entertainment at SL9B may well be over, but the regions will remain open until 23:59 SLT on the 27th June 2012. 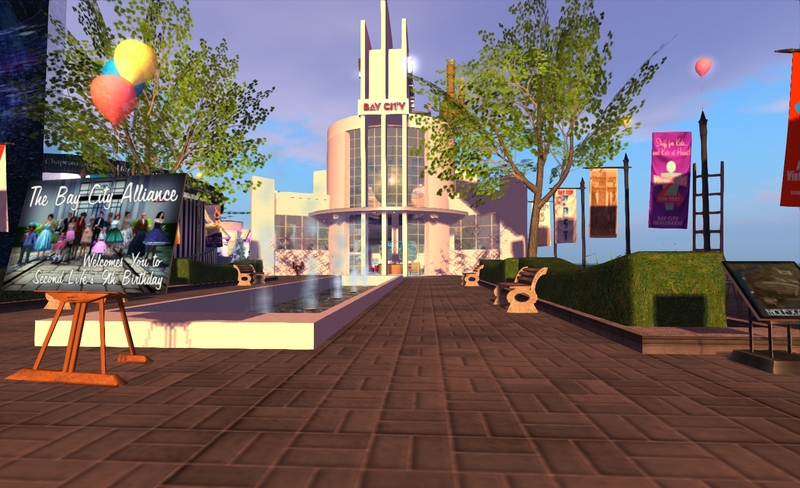 If you haven’t visited already, now is the time – there are many great builds still to see and opportunities to learn even more about the rich diversity of SL’s community. I had hoped to write a couple more pieces on the celebrations and the people over the weekend, but the practicalities of RL coupled with some pressing needs elsewhere in SL meant I had to shelve them. Instead, here’s a quick tour of some of the exhibits I really like – some of which may well form the basis of future articles in this blog. 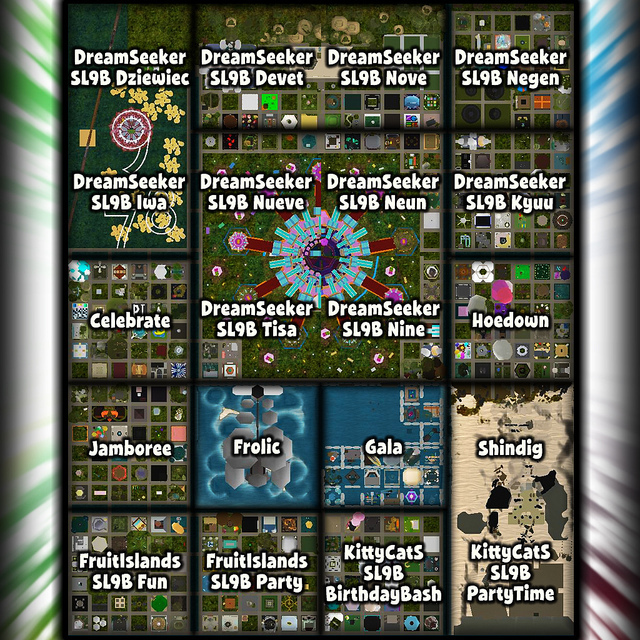 SL9B marks a turning-point for celebrating SL’s anniversary. Linden Lab no longer involve themselves (although it was good to see members of staff visiting the regions), and festivities are in the hands of the residents of SL. This year’s core event was put together in just a few short weeks and demonstrates exactly what the community can achieve when it sets its collective mind to it. However, there is an understanding that not everything was perhaps done as well as it could be, or there may have been things missed out. To help understand where the team got things right or wrong, or where things might be improved, everyone who participated in or visited this year’s SL9B regions is invited to provide feedback. Please take a couple of minutes to complete the form and let the organisers know your thoughts. It won’t be possible to respond to every comment received, but do feel free to leave your email in case we do need to talk – but every comment received will be read. 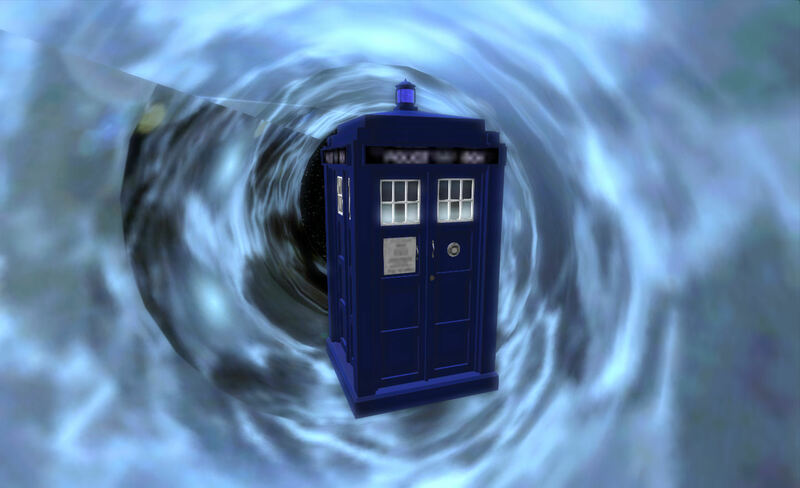 Doctor Gascoigne, KT Syakumi, Diana Renoir, Budster Bashly, Saffia Widdershins, Honour McMillian, Crap Mariner, David Abbot, Bo Tiger, Will Webb and all the others in the various core and support teams – the EAs, the greeters, the helpers, the gofers and technical staff – with a special thank you to nEoStreams for the provision of all the required live streams. Thank you as well to the builders and exhibitors and their sponsors and to all who took the time to visit SL9B and who contributed to the Flickr stream and who wrote about SL9B in blogs and reports. 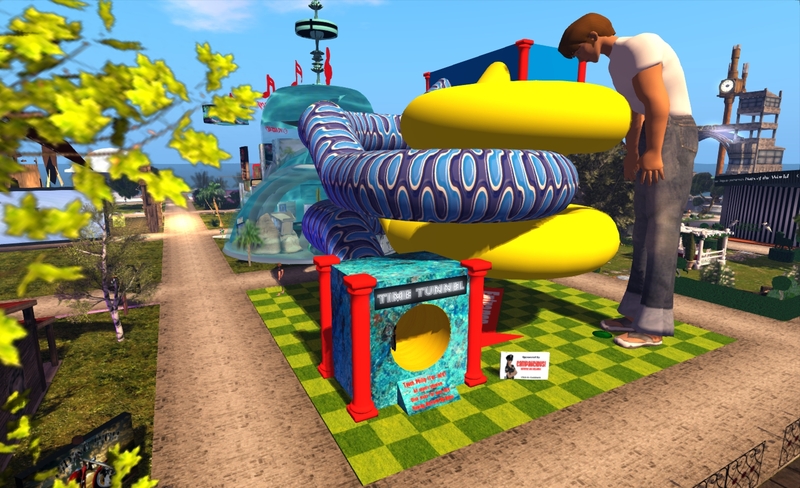 And a very appreciative and special thank you to the sim sponsors: Dream Seeker Estates, Fruit Islands, Kitty CatS and the anonymous donor of six regions, without your generosity, none of this would have happened. SL9B: Don’t forget the time capsule! 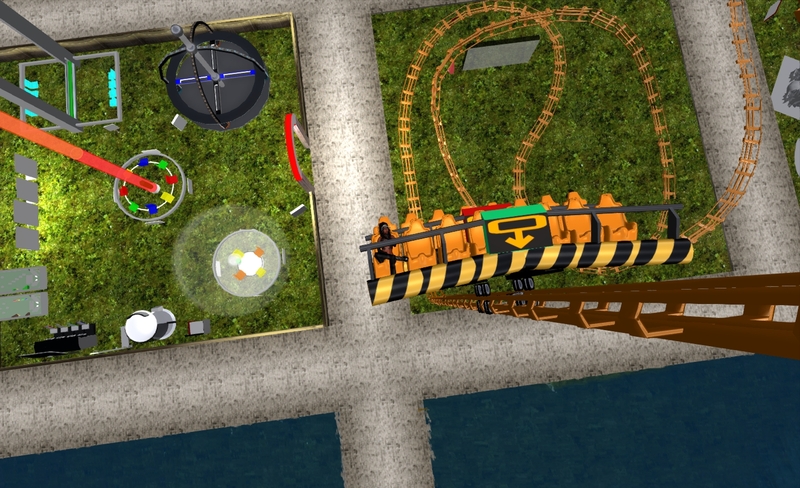 Today, the 23rd June, SL officially turns nine – nine years of open, public access! A tradition at all SL Birthday celebrations is that of the time capsule, and this year is no exception. 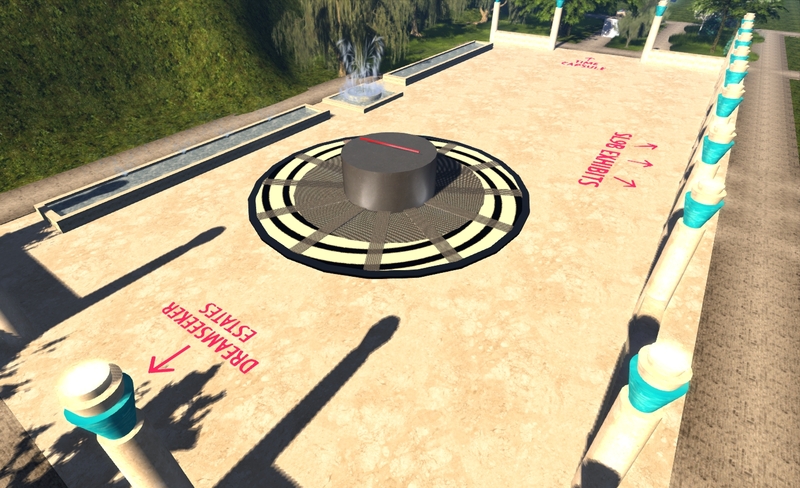 The time capsule contains items donated by SL residents, which are placed on display at future SLB celebrations. Don’t donate a HUGE item – remember, it may well be displayed in the future! If you get a “No Entry” sign, check the permissions on the item and its contents. Time is running out – so make your donation soon!